A good garage organization system increases storage and maintains everything so that the owners can easily find what they are looking for. This system for a Chicago area home achieves just that with the bonus of sharp good looks. 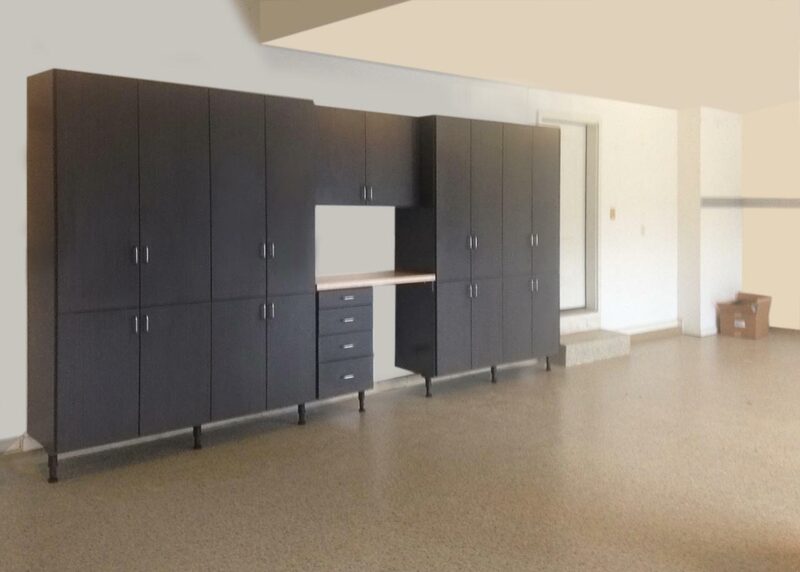 Closet Works designed these custom garage cabinets and integrated workbench for a large 3 car garage. Omni Track™ aluminum wall track was installed next to the garage cabinetry and also in an opposing corner in order to hang all the larger tools, sporting goods and equipment that inhabit the typical garage from the walls. 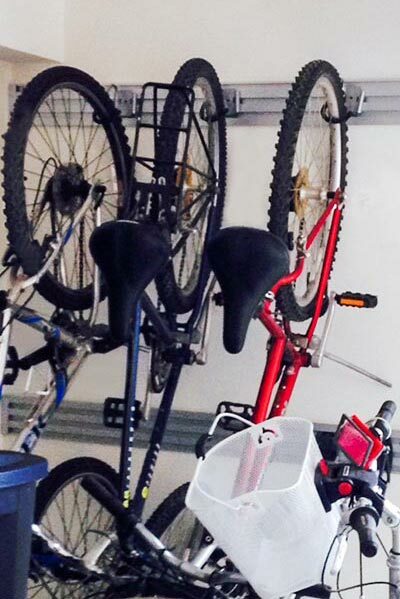 The omni track provides bike hooks and keeps them easy for each family member to grab and go. The tall cabinets with doors are divided into upper and lower sections. This allows balls, toys and sporting goods to be stored in the lower section accessible to small children. The upper cabinets can be kept locked if necessary to store fertilizer, weed killer or other chemicals in a safe manner. The entire garage cabinetry system is raised up on legs to ensure easy cleanup around the floor.